We are pleased to link to this article, Sidelined and scorned: young people are set up to be soft targets, by Michael Emslie, Lecturer in Youth Work at the RMIT University, Melbourne, Victoria, Australia. The treatment of young people can be understood as an example of what sociologist Pierre Bourdieu called symbolic violence. The omission of young people is an example of unequal age relations that are just taken for granted. Bourdieu suggests this is more insidious than the more obvious forms of prejudice……, because it normalises adults as those who get to say what can be said about and by young people and when. And those adults are oblivious to the pervasiveness of their dominance. If we are serious about tackling the challenges facing many young people, such as poverty, unemployment and family violence, then we need to take a serious look at age-based prejudice. 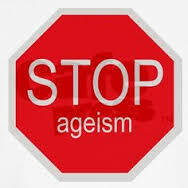 And this includes examining the understanding of and interventions in the lives of young people that such ageism engenders. Next Youth Vote undecided – Who wants it?